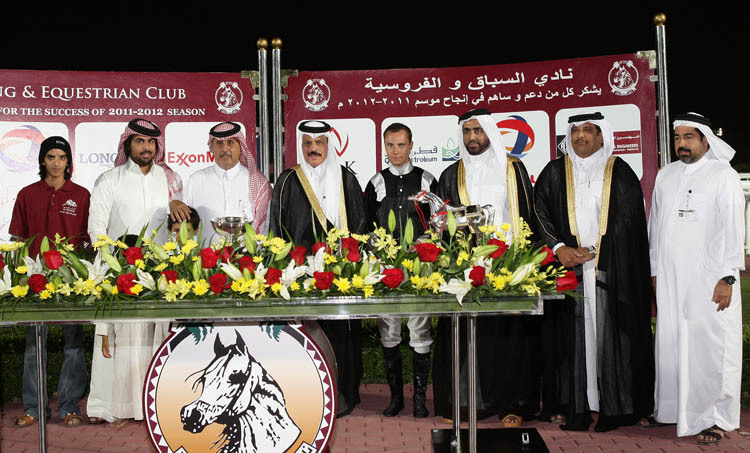 May 16, 2012, Doha~The Qatar Equestrian and Racing Club winds down the season with eight more races on Thursday. Tonight’s excitement was capped by the Club Breeders Trophy for 3 yrs olds. 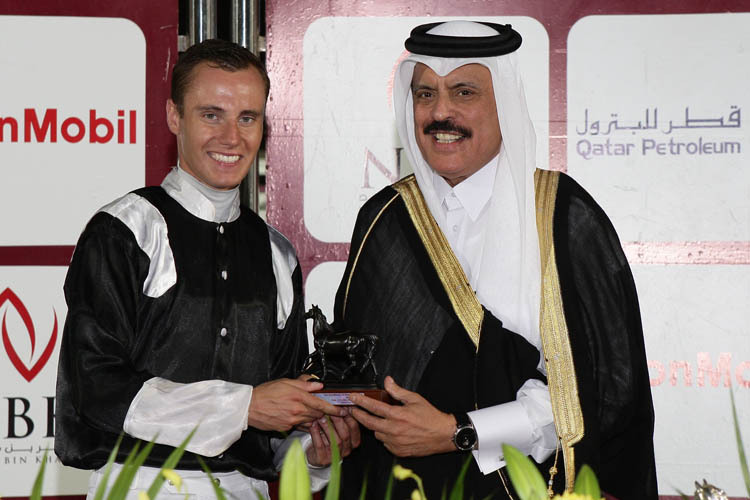 This 1200m race gave another win to the Burning Sand empire when his black son, La Hoor (Burning Sand x Pettra) collected the QR 45,600 best part of the QR80,000 prize money in the winning time of 1:17:12. Jockey, M. Suerland gave the colt his head and he never let another in front. Chased down the backstretch, he stretched out comfortably finishing six lengths ahead of Al Nasriyah. Having won two of his three races, this horse is one to watch. La Hoor is trained by H. Al Matwi and owned by Mr. Hassan Ali Hassan Al Matwi.